Your PTL (Play.Teach.Love) gift is finally here!!! 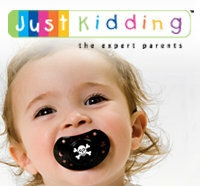 Just Kidding, Dubai, have offered all PTL readers a 10% discount starting today on ALL Maxi Cosi products ordered online until December 31st , 2011. Their products were previously featured here, in a wonderful contributing post by Ms. Dana Al Fulaij ( link ).